Blog WordPress Optimization and Tutorials How to Remove URL / Website Field from WordPress Comment Form? We all know that WordPress is highly customizable and can be customized up to a great extent. WordPress is also famous for a huge repository of plugins which provides you plugins for everything. What if you want to remove URL form from the comment form? This prevents automated bots to post spam links on your website. It helps your website retain the SEO Juice. In other words: Are you a WordPress Developer? Developing WordPress Themes? 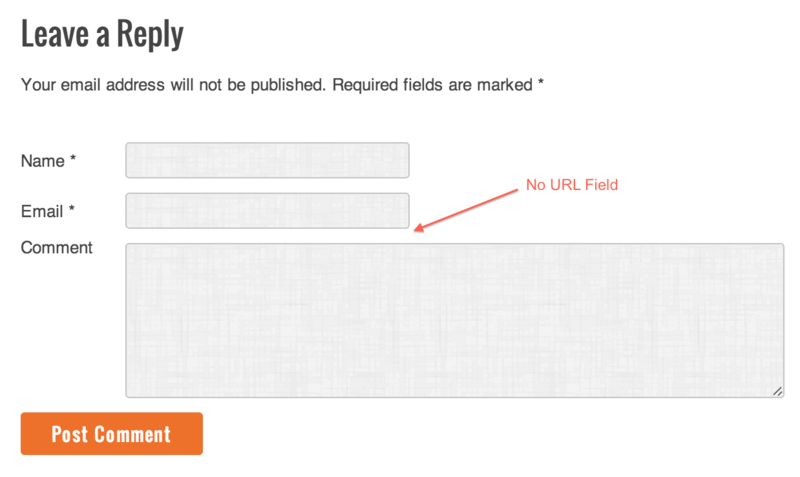 And wanted to remove URL / Website Field from WordPress Comment Form? Then you are at right place. Just remove 'url' => field from above code. Add below code to theme’s functions.php file. You may want to use this WordPress Plugin.